Demolition is now complete at the former Donohoe Building at 400 6th Street, where Trammell Crow plans to build a new, 12-story 342,000 SF office building. The building was purchased in 2012 by Trammell Crow and the AFL-CIO Building Investment for $41.9 million and it was formerly occupied by the District’s Child and Family Services Agency. Demolition began in the fall. Space on the ground floor will be convertible to retail if the market can support it. The new office building is scheduled for completion next year. 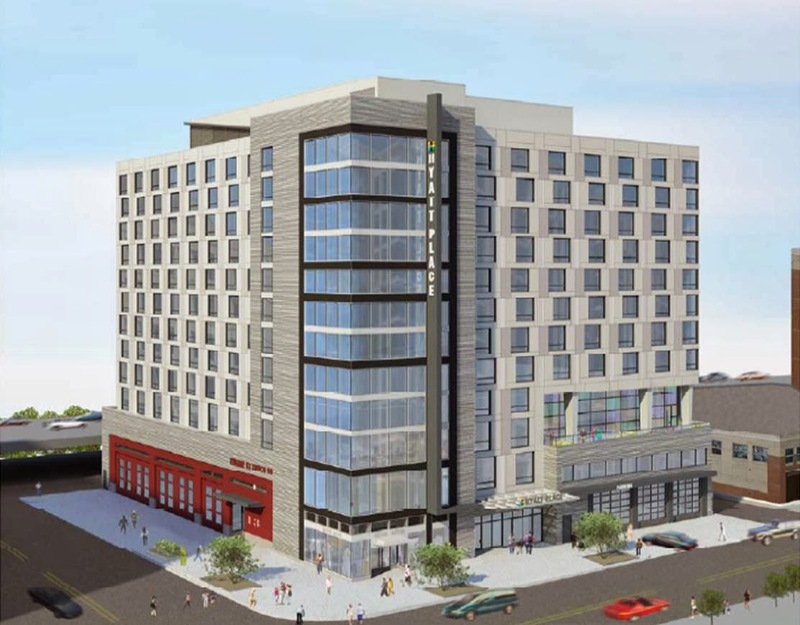 Meanwhile, heavy construction equipment arrived this week at 400 E Street, which by next year will be a 214-key Hyatt Place hotel and a new Engine 13 firehouse. The groundbreaking ceremony occurred back in mid-December. E Street Development won the rights to the site back in 2009 along with a second parcel at 6th and E streets. With the new Hyatt Place and the Intercontinental Hotel, Aloft, and Element hotels planned for Phase I of The Wharf, there will be a net gain of three hotels in Southwest by 2017 (Channel Inn will be demolished since it’s within the footprint of The Wharf).